Cleaning of teeth is recommended at least every six months. 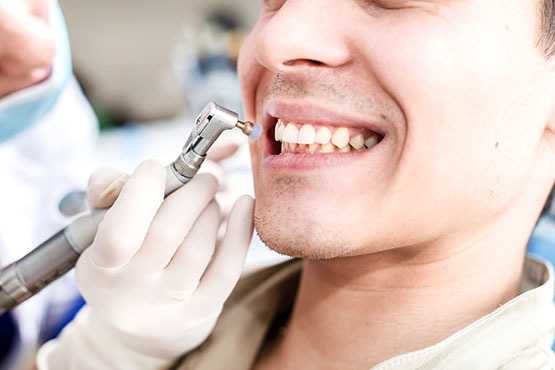 Your teeth are checked for any new/developing cavities, the calculus (tartar build up) and staining (often nicotine, coffee/tea, curry etc.) is removed followed by polishing of the teeth. 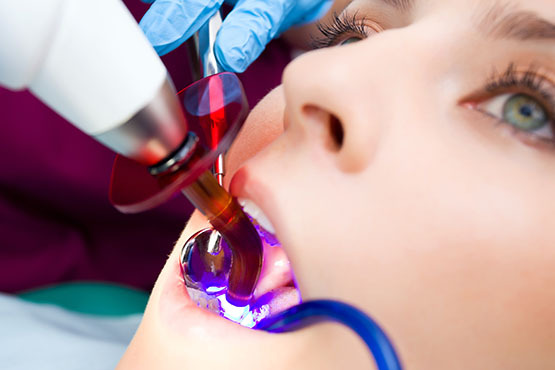 In most cases we apply fluoride treatment to help strengthen and protect against cavities. Fissure sealants are recommended in our younger patients to seal and protect their new permanent teeth against cavities. This is a pain-free treatment and does not require local anaesthetic (injections). The teeth are cleaned prior to preparing it for the sealant. The sealant is then placed into the grooves of the chewing surfaces of the back teeth and cured as to harden/set it. This treatment also renders the teeth easier to care for, especially while the patient is still learning how to brushing efficiently.